With the Eurostar leaving from central London, a weekend trip to Paris has never been easier. 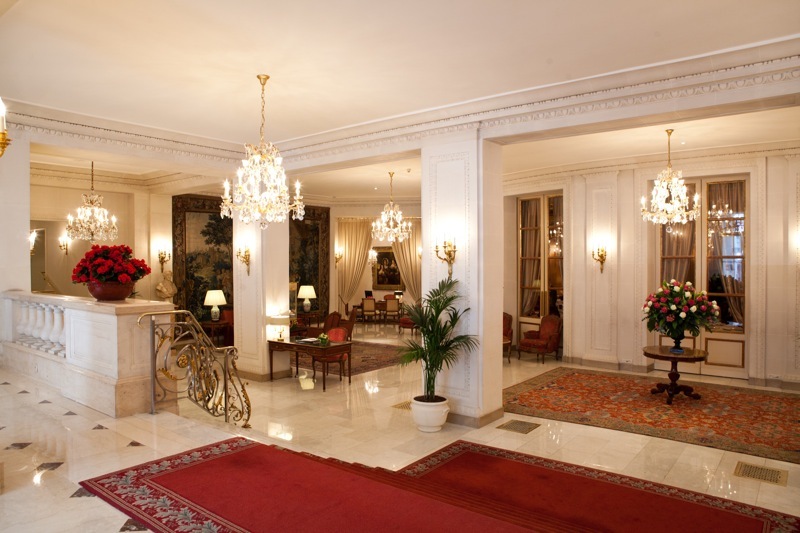 Emyr Thomas offers a selection of the best luxury hotels in Paris. 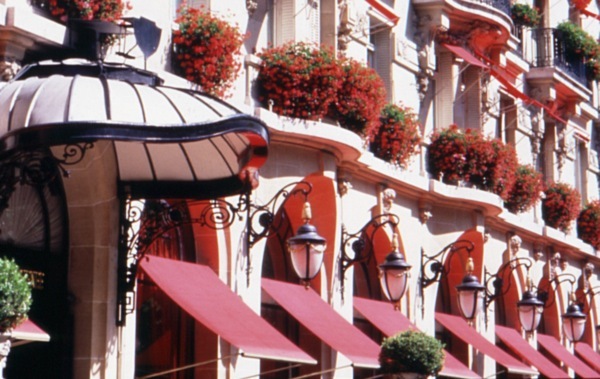 With its red geraniums and signature red awnings, the Plaza Athénée blooms with elegance and glamour on the beautiful avenue Montaigne. On entering the lobby, you are immediately aware of a discrete, stylish operation, oozing with charm from every corner with a team of friendly, dedicated and highly professional staff, pre-empting your every whim. The 146 rooms and 45 suites are sumptuously decorated in either Art Deco, Regency or Louis XVI style, expertly combining traditional opulence with up to the minute modern touches. Legendary French chef, the multi Michelin-starred Alain Ducasse, oversees every aspect of the hotel’s dining options, and Le Bar au Plaza Athénée remains one of the most chic and hip bars in Paris. Click to read our review of the Plaza Athenee Paris, one of the very best luxury hotels in Paris. Nestled in the heart of Paris’ Left Bank, amidst the cultural riches, bohemian soul and high fashion of St Germain-des-Pres, sits L’Hotel Paris. The gorgeous building had stunning views of the gallery-peppered Rue de Beaux Arts from our 6th floor junior suite, with heavy curtains, velvet carpets and custom-made lavish furnishing taking us on a journey back in time, like we were part of the Belle Époque. It is a wonderful combination of luxury and cosiness, miles away from large, soulless luxury hotels and located in what is most likely the most Parisian of Paris quarters. Click for our full review of L’Hotel in Paris. 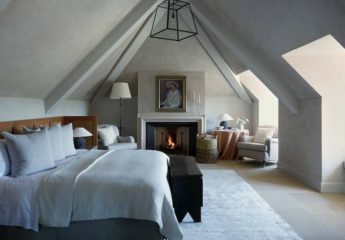 Le Bristol is a beautiful hotel that exudes old world charm with a feeling of space and serenity. The rooms are decorated in a traditional style with chintz and silk curtains to match the chairs, crystal chandeliers and Persian carpets. Le Bristol’s crowning jewel is its culinary offerings: Those with time and calories to spare are invited for a gastronomic feast at the three Michelin starred ‘Epicure’ from chef Eric Frechon, where the dining room is formal but inviting with views of the inner courtyard, with a 19th century marble fireplace and large French doors leading out into the trellised garden. 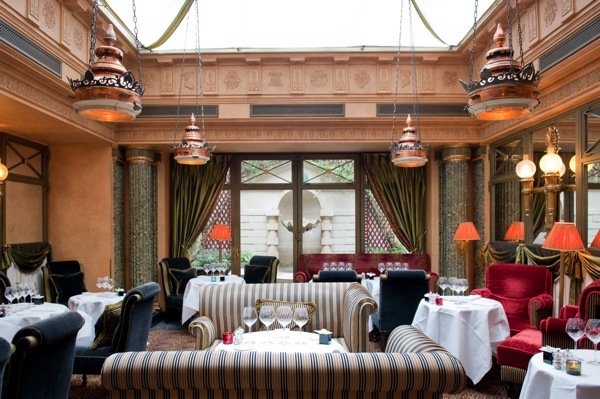 There is also the less formal but still impressive ‘114 Faubourg’, which opened in 2009, where the surroundings of the restaurant are playful with a buzz of an upscale brasserie in the air. Read our full review of Le Bristol. Steeped in history since it first opened its doors in 1835, Le Meurice majestically holds court on the Rue de Rivoli with the beautiful Jardin des Tuileries, one of Paris’s most striking parks, directly opposite. 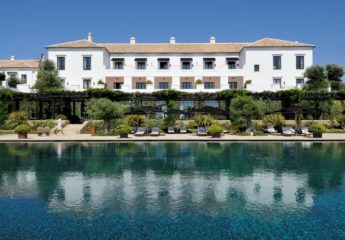 The 18th-century architecture, modern design touches and the latest in contemporary comfort and elegance create a truly resplendent modern palace hotel. The 160 rooms and suites are elegant, classic and luxurious in the style of Louis XVI, while the suites feature huge walk-in wardrobes and exquisite marble bathrooms, complete with Penhaligon’s products. Le Meurice is regal, glamorous and charming, expertly showing how a grand hotel can be anything but stuffy, making it a real contender for one of the best luxury hotels in Paris. 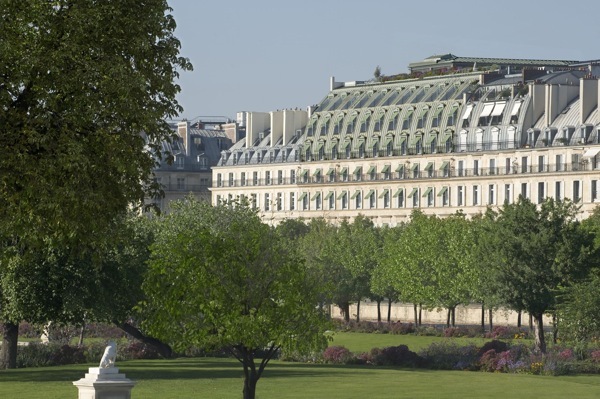 Click to read our review of Le Meurice. 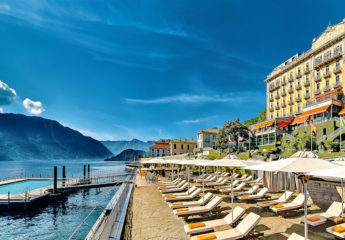 Other hotels which are well-regarded but still on our list to visit soon to see if they could be one of the best luxury hotels in Paris include the Four Seasons George V, the Mandarin Oriental and the Shangri-La. 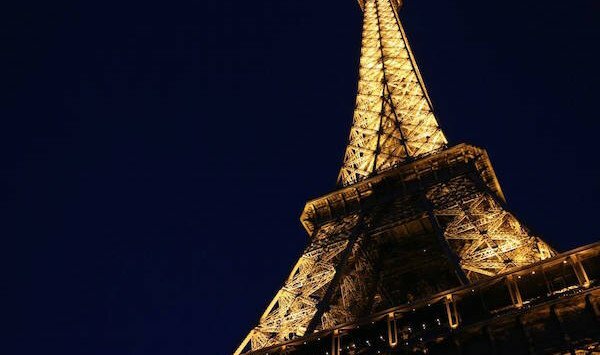 Take advantage of our Virtuoso contacts and relationships with the best hotels to secure VIP benefits at the best hotels in Paris – contact Bon Vivant Travel now for our free luxury travel planning services.